Smartphones are smart and help us with different things. One of the good use of smartphones is to check the latest weather. 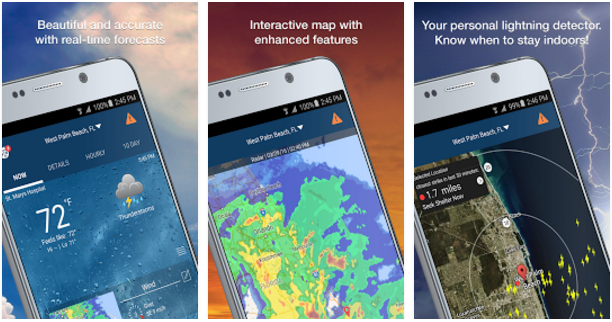 You can just take your smartphone and get the latest weather information. There is no need to open the local weather report on TV or search for this on the Internet using your computer. There are many weather apps for Android and these apps are growing with improved information. Few of these apps also offer weather widgets. So, you can quickly get weather information directly from the home screen. In this article, we are listing few best weather apps. 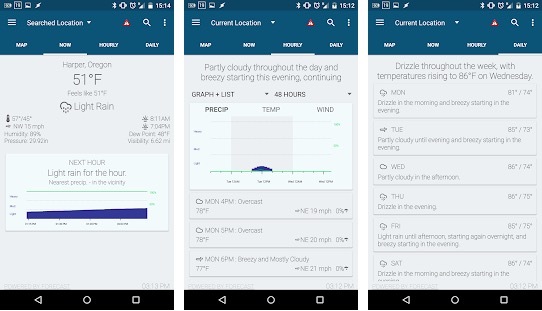 Below is the best weather app for Android that you can use to know about weather. 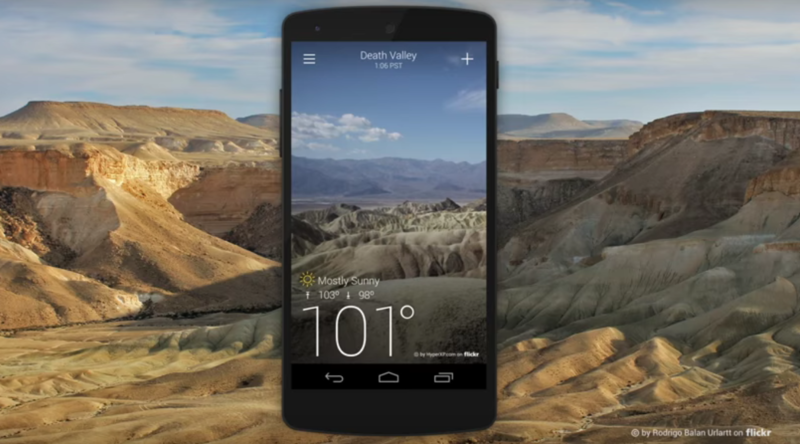 You can download any of these weather widgets for Android. AccuWeather is one of the most popular weather apps for Android. It usually comes with accurate information including the RealFeel index and real-time alerts. Other good features are graphs, maps, radar and even video weather forecasts for your region. It shows Local forecasts offering real-time weather updates, storm alerts, severe weather warnings, and humidity reports. You can also check weather forecasts for up to 15 days in advance. Arcus Weather is also a good weather app you can download and use on your Android phone. It also gives accurate up to the minute weather forecast. The app uses Forecast.io API to fetch the weather information and show on the app. It also comes with Homescreen widget that you can customize to select what data you want to see. It can also be used without enabling data services. 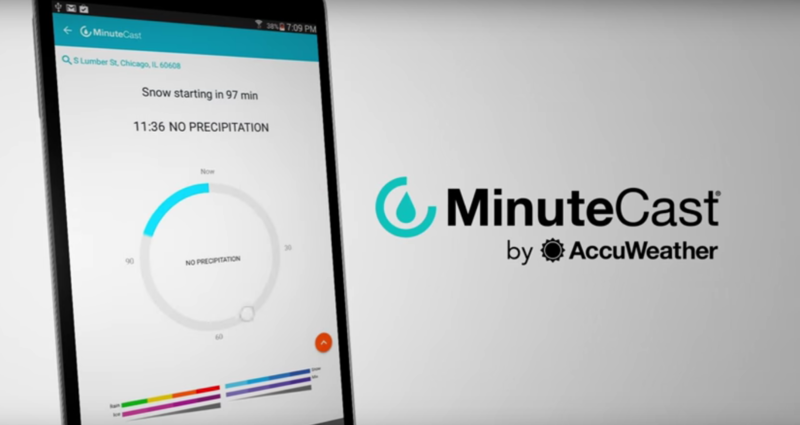 The app sends notifications with weather alerts. Arcus Weather is a free app with ads, but you can buy the pro features via n-App Purchases. In pro features, you can remove ads, increase the number of custom locations and more. 1Weather is a popular weather app and it has been around for a long time. It offers you daily and hourly weather forecast along with additional information. It also automatically detects your current location to get the real-time weather report for your location. It is available in 25 different colors. The free version of this app is ad-supported. The premium app is available for $0.99 to remove ads. Yahoo Weather is a nice weather app for the beautiful weather forecast. It offers information without ever feeling cluttered. 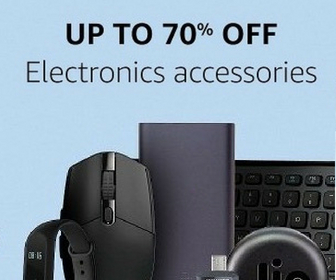 It also comes with many sizes and types of widget for your home screen. It also gives you notifications in your status bar. If you are looking for “weather today at my location,” this app can help you in knowing that. Dark Sky was initially launched only for iOS, but now the app is available for Android as well. It claims to fame is the “hyper-local” forecasts. It even shows when the rain will start and stop, down to the minute. 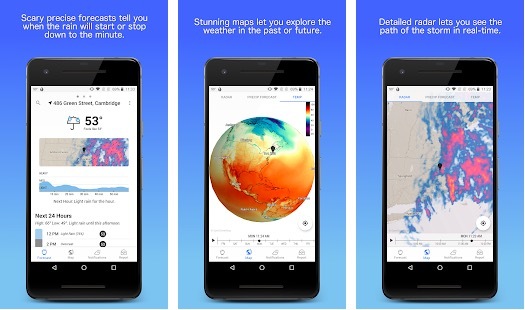 The app is free to download and includes full 24-hour forecast, a detailed 7-day forecast along with current conditions, multiple saved locations, historical data, and beautiful weather maps. There is also a premium subscription for more features. Google Now is best known for offering information you need. You can ask it to offer weather card to show a daily forecast for your current location, work location, and travel destinations. 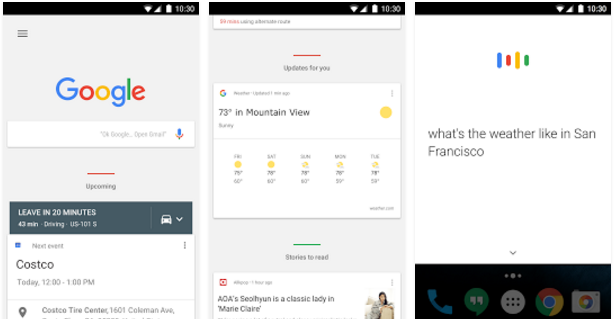 When you open Google Now, it always shows weather information at a glance. It is not a dedicated weather app but offers enough information when you need. WeatherBug is a nice long time favorite weather app for Android devices. It is a full featured weather app to offer you real-time local forecasts. It comes with over 17 map layers including Doppler radar, lightning, wind, temperature, pressure, and humidity. Join millions who rely on WeatherBug every day. It offers forecasts for 2.6 million+ locations worldwide. 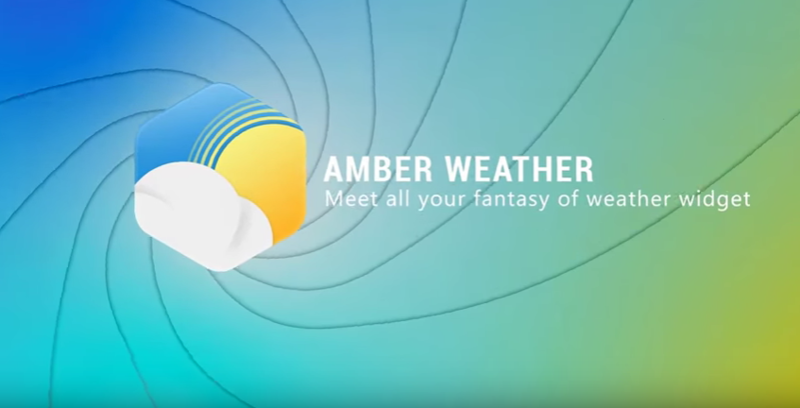 Amber Weather Widget is one of the best weather widgets. You get daily weather forecasts based on your current location. It does not offer real-time forecasts but there are various other nice features including a details weather report including current temperature, wind speed and direction, humidity & visibility, hourly forecasts, and Android wear support. It offers Hourly forecasts, 7 days forecasts, and long-range weather forecasts. It also brings Climate overview to check monthly H/L temperature in a year. The app is also translated into over 30 languages for making it available a large number of users. The Weather Channel is another nice weather app which can access your current location to provide you weather forecasts. You can also change the current location to see the weather conditions around the world. It also offers weather notifications for not only temperature but also for severe weather like a storm. 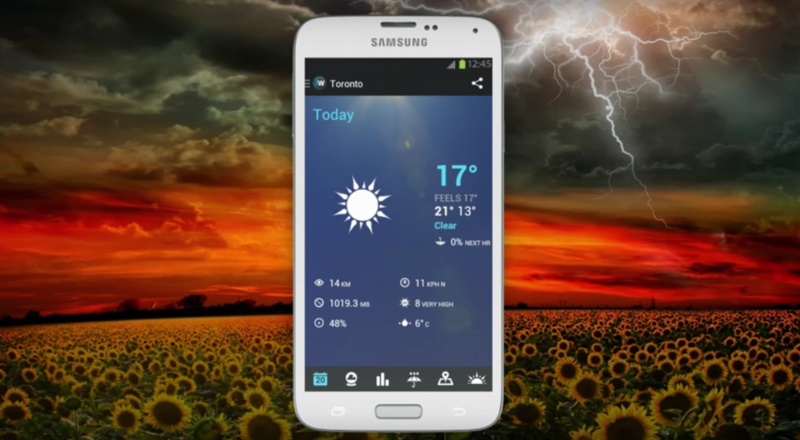 Weather Wiz is relatively new but one of the best weather apps for Android out there. The app offers a clean design and detailed data. It uses data provided by IBM Weather Company to give you real-time, hour-by-hour, 10 Day forecast and local weather radar features. There is also a free weather widget, real-time weather information and a lot more. There are many other weather apps to offer weather report on the go. 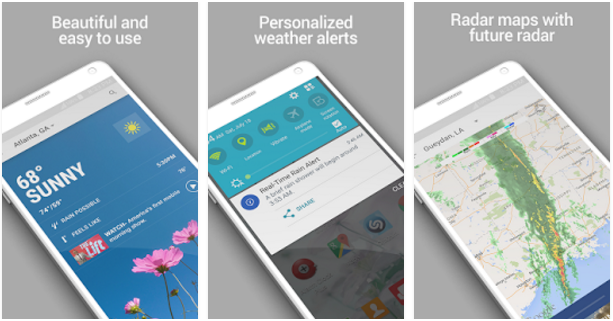 By using widgets, you can keep weather information on the home screen of your Android device. I have compiled this list to give you the best weather apps with fewer efforts. you can install any of these apps depending on your choice and never miss any weather updates. In case you want to add something in this story, you can comment below.